All those left leaning politicians sure didn't mind taking photos with trump when they were pining for his money. 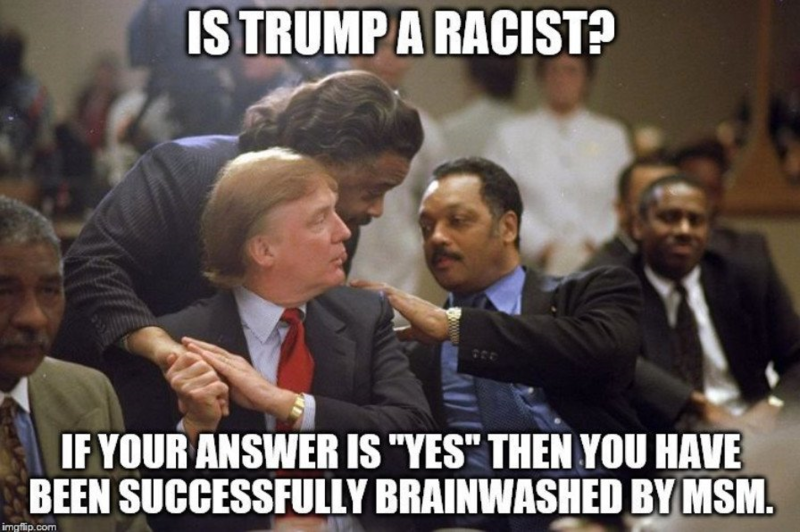 Maybe ask them the question. I choose my leaders not because they are perfect (no human is), I choose my leaders because they can best lead and complete goals that are mostly aligned with mine. Trump is not perfect, but I support him because he can best accomplish much of my vision of America. 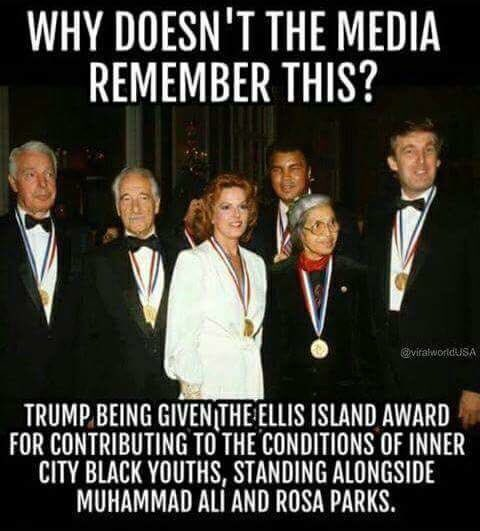 For a racist he sure did much to help the Black Community and back then he was praised for it by the Dems. Now that he is running as a Republican all those deeds are just conveniently swept under the rug and he is portrayed as a White Nationalist (which he is not). Because he is being attacked. Hypocrisy of politics. Trump has done an excellent job of exposing it. He is also a hypocrite. So the question is valid. Why are people defending him? What are they gaining? The belief was he would get them money because he had experience in making money. He was the thing that would enable people to get the money to get the things they wanted. It has less to do with defending him and more about defending the ability to acquire stuff. Many Democrats that hate him now also believed in his ability to get them stuff they wanted which is well documented. So in summary, people in general are not really defending him. They are defending their ability to earn / keep their money, maybe earn more, grow their businesses, start one. So far, he has delivered on it. Most the time it's simply a running joke to poke fun at the ones that saw Obama as the Messiah, aside from that I think most are acknowledging he's not perfect it's just pointing out the fact that he is who he has always been. People didn't expect him to turn into a politician and it's ridiculous that people haven't tried to understand his mentality. He is a hardliner who negotiates from a place of power, he says things with absolution, but most rational people realize that is just a persona he presents so people dont think they can try him with the upper hand. His negotiation tactics are similar to lil' Kim's. The difference is he has the power, but doesnt plan on using it. Lil' Kim doesn't so he has to prove his power though instability. I find it hypocritical from people that tell me I should be more understanding of people and how circumstances shape their person, to be so adamant about searching for offense so they justify their outrage and vitriol. Compared to both Bush senior and his son Trump is a choirboy. Maybe even a saint... you do not want to hear what the Bushes may have said about the black comunity in private surroundings and intemate friends. You do not want to count the people who have died because of the profits made by the Bushes.. Upto this day Trump is a very midiocre president who has probably a problem handling diplomacy but there is no real reason to be against him to this day... Imho he is trying to solve and manage problems left for him within a government invested with corruption and against him..